Welcome to a cloud native architecture discussion on the Datanauts podcast. Today we blast off into the microservices galaxy and orbit the binary star system of Istio and Envoy. That’s right. A proxy for every microservice instance. What’s that you say? Too hard to manage? Infinite points of failure? Will we orbit successfully, or crash into the fiery cores of these burning stars? Hang in there, and we’ll find out. Our guide to this galaxy is Christian Posta, Chief Architect, Cloud Application Development at Red Hat. We start with an overview of Envoy (an application-level proxy) and Istio (management software or the control plane for service meshes). Envoy and Istio were developed to help solve the problem of how to get various service elements to talk to each other to provide a fully-functioning application. 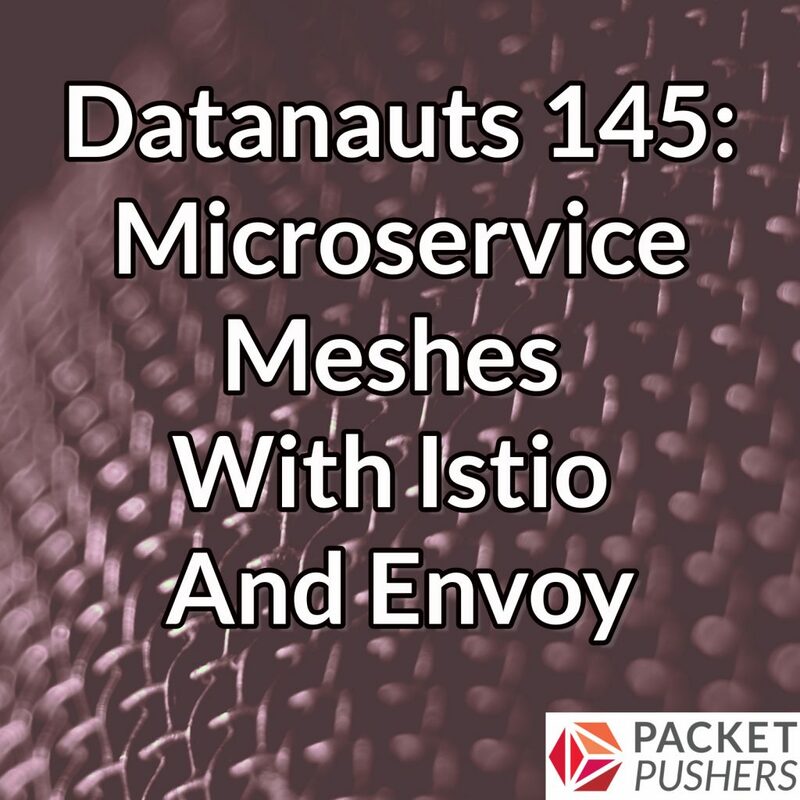 We also look at how Envoy, Istio, and an orchestrator such Kubernetes work together in a microservices architecture. In part two, we dive into the main use cases or capabilities of Istio, including traffic management, observability, policy enforcement, and service identity and security. In part three, Christian walks us through day-two operations of running Envoy and Istio in production.